As discussed previously, using a sponge on your cars paintwork will cause scratches and swirls. Many people instead opt for either a lambswool wash mitt, or a microfiber mitt. Today we’ll be looking at the best lambswool wash mitt on the market. Generally, all lambswool mitts should have the same characteristics. They should be extremely soft as well as being able to trap as much dirt deep within their pile. By doing so, it will severely limit the potential for you to install a scratch of swirl marks into your paint. When choosing a mitt, you should also make sure that that the mitt is comprised completely 100% of wool on the outside. The reason for this is that cheaper brands will have a split of say 70% wool to 30% sponge like materials. You’re therefore negating the safe wash technique since the material it’s blended with is highly abrasive. What you’re really needing is a gentle wash so 100% wool is a must in this case. Moreover, it’s best that when choosing a lambswool car was mitt that it is lint free. It might sound trivial, but lint coming off it the mitt can be highly annoying as well as increasing the chances of adding microscopic scratches into the paint. Again, some cheaper brands will say that it is lint free, but in actual fact it isn’t! A durable mitt is key! Another element that people fail to consider when buying a mitt is how durable it is. You can get the very best wash when using it, but it’s not much use to you if you’re needing to replace it every few months. Obviously lambswool needs to be washed differently than a microfiber cloth and should be treated with proper care. However, it is always a better option to invest in a more expensive mitt that will live up to many washes. You’ve also got to factor in that car soap/shampoo will have compounds in it that are designed for deep cleaning. Since wool is a natural product, it needs to be cared for properly. Some of these products have a wash side and a drying side. Generally, the drying side is rather rough and can damage our paintwork. Therefore it is much better to buy one that has wool all the way around the mitt. It also allows you to turn it around and use one side for the more dirtier parts of your car. 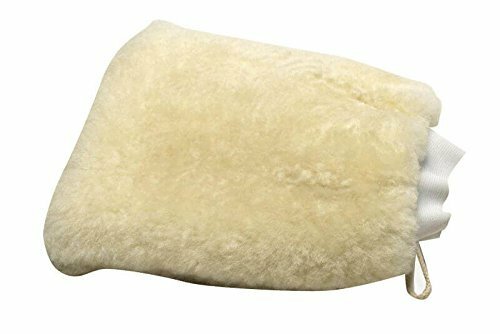 The best value lambswool mitt just now on Amazon comes from Mary Moppins. It’s reasonably priced and will give you an amazing and safe car wash.